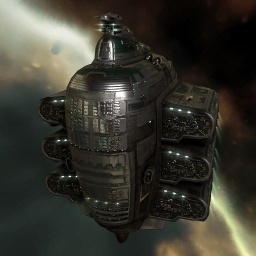 The Obelisk was designed by the Federation in response to the Caldari State's Charon freighter. Possessing similar characteristics but placing a greater emphasis on resilience, this massive juggernaut represents the latest, and arguably finest, step in Gallente transport technology. The Obelisk is the Gallente Freighter. A cargo ship of immense proportions, the Obelisk places more emphasis on durability than most other freighters, at the expense of a slight cargo reduction. It, with its Caldari brother the Charon and the Amarr Providence are very common sights in high-sec along trade routes between trade hubs. Further information about additional or recommended skills to pilot Obelisk for a specific or it's common role(s) can be written here. No sub-article about Obelisk roles or piloting tactics. You can write them here. This page has been accessed 104,792 times.